“Every complex problem has a simple solution. It simply depends on how we look at it. I travel so much that, as often as not, my watch is the only way I can keep track of what time it is at home, and where I am landing. And, I must admit, I have never found a GMT model which is simple enough to really be useful, and that I can use as intended. Thanks to the ingenuity of our R&D team, this is now possible and, believe me, the Big Bang Unico GMT is sure to inspire imitators”. The two push-buttons adorning the Big Bang Unico GMT case are not the same as those seen on a chronograph. 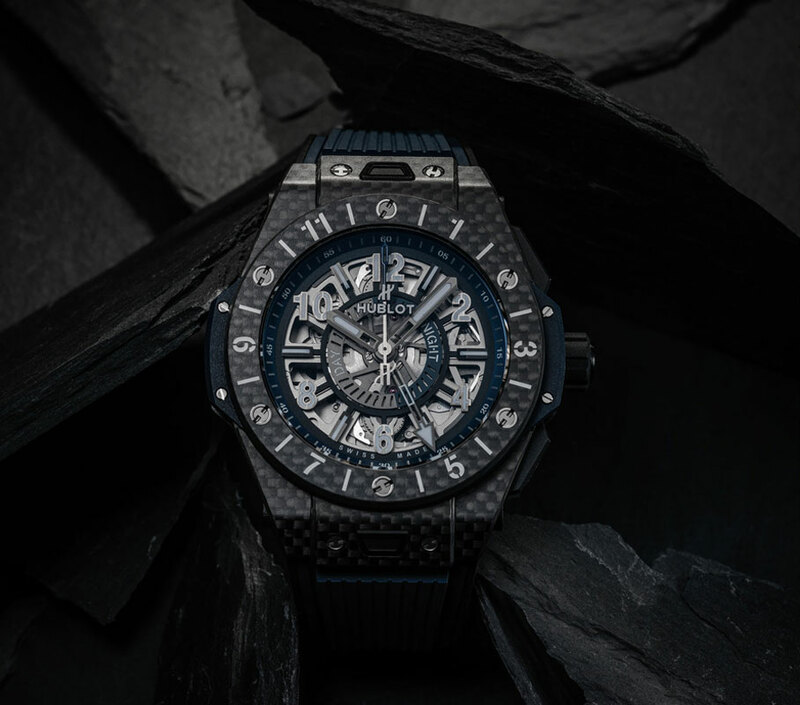 Their aesthetic has been redesigned to ensure they can be distinguished, and their rectangular shape brings to mind the historic push-buttons of the first Big Bang models. Each press of the push-button at 2 o’clock moves the time forward by one hour; the one at 4 o’clock moves it back. A safety device prevents simultaneous activation of the two push-buttons. GMT time (local time) is set independently of the other hands by pressing a push-button; the gears for the minutes and seconds are not driven. This means it is not necessary to synchronise all of the hands with every change in time zone.